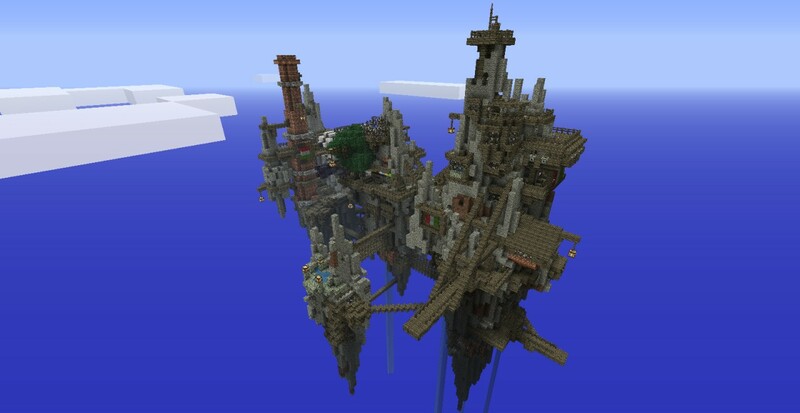 Aerial fortress/dock with and without company. Both templates run the entire height of the Minecraft range, so you will need to use McEdit to make a large buffer of empty chunks for it to look right. Added a second schematic containing the ships docked around it. dude this is epic, I would love to use it in my RPG-ish map! But I need your premmision first. Even better can I use all your schematics. I will give you credit ofcourse. Sure, but I might pull them from Red Tern Island and move them rather than using the schematics. They are not so up-to-date. 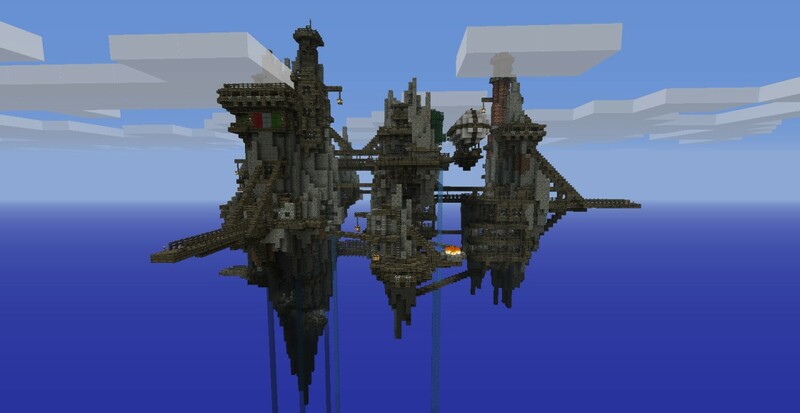 Can you add/send me mc edit schematics for the two massive zepplins? They are up on the site already. That is the Cruiser, Dreadnought, and Cutter. Not sure how current they are, though. I c, but are they for the individual ships or all three plus the structure? 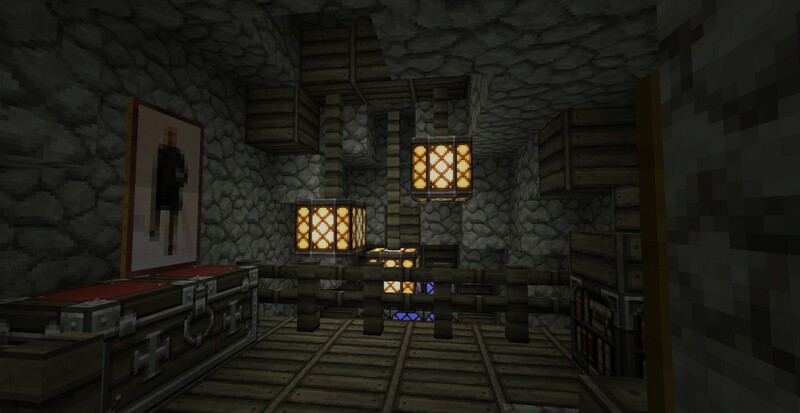 because i have attempted to use mc edit to spawn them in but all i get is the structure and no ships. 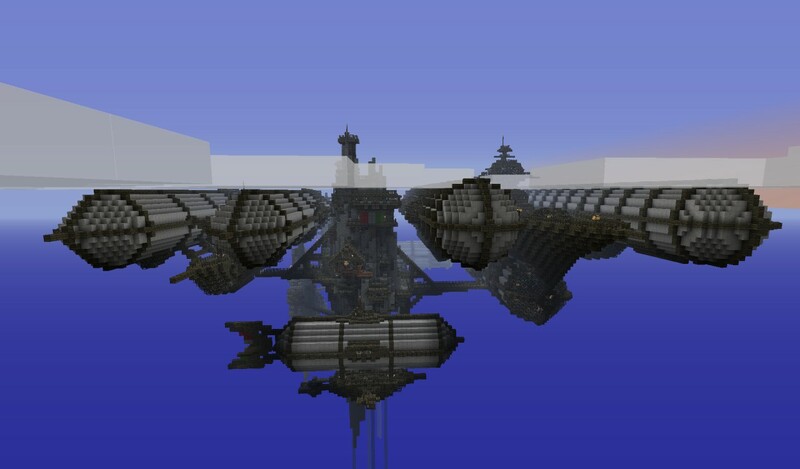 Oh, and the airships/zeppelins on this map are by far the most amazing i've ever seen in minecraft! The schematic is just the structure. 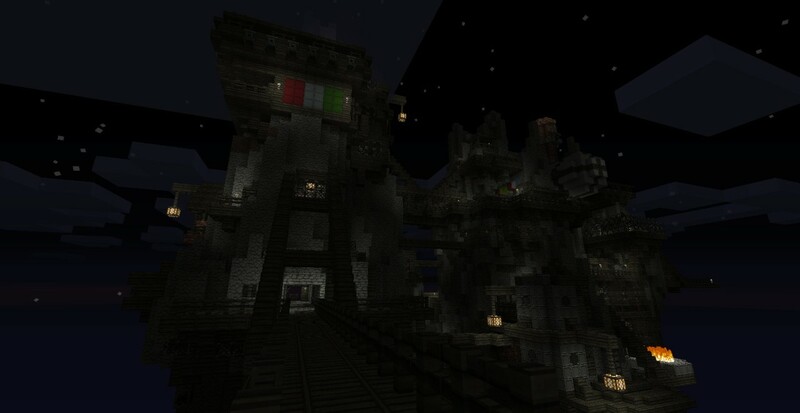 The airships have their own schematics elsewhere on PMC. you should turn this into a small adventure map, it would be awsome! How are you trying to load it? You sir, have just got subscribed! 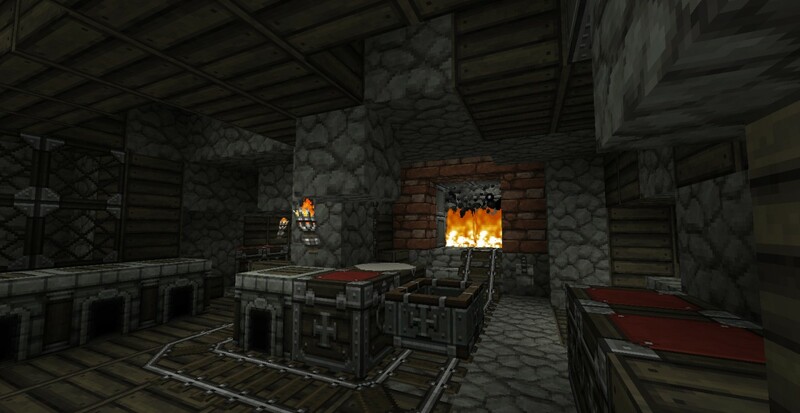 I am using this in my server's upcoming PvP map on Pigcraft. 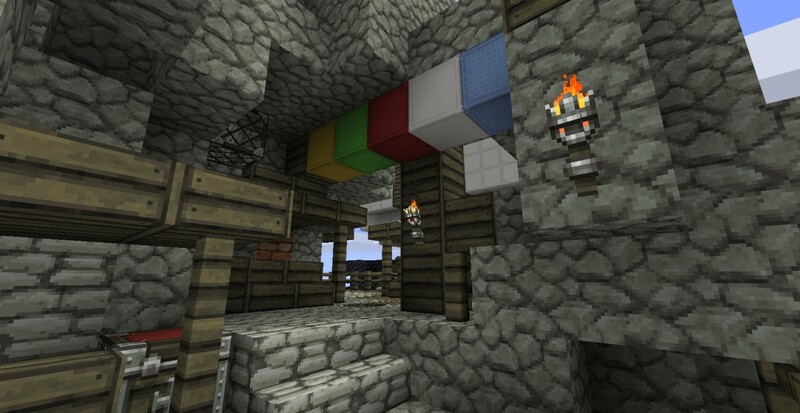 We're on minestatus (offline right now, got DoS'd), just giving you a heads up. I wouldn't claim this as mine, ofc. I don't have the patience to sit down and make something THIS intricate. Wonderful work, good sir. Thanks! I find it helps to start with a rough shape and then gradually add detail. It is very hard to design something intricate from the start. In this case, I just gradually carved out rooms and added new spires as I felt like it. There was very little plan, so the detail was never overwhelming. Is it ok if i compile these and (With permission) others' maps into a skyworld adventure map type thing? Sure thing! Just note down where you got it. I would actually like to have a world file I can point people to, as I haven't had time to finish mine. 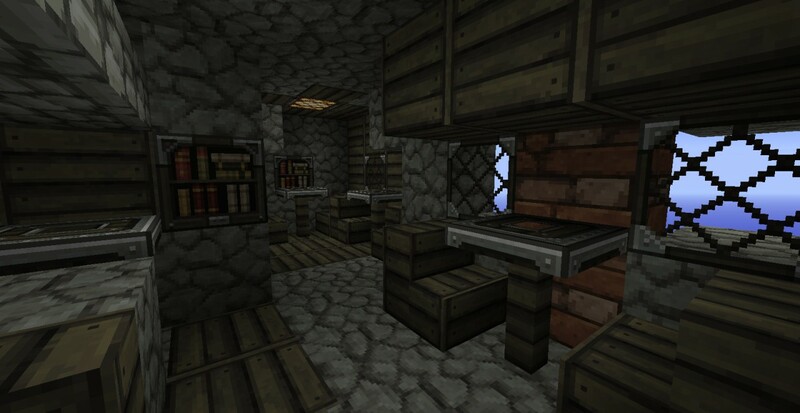 That is an older version of Dokucraft. 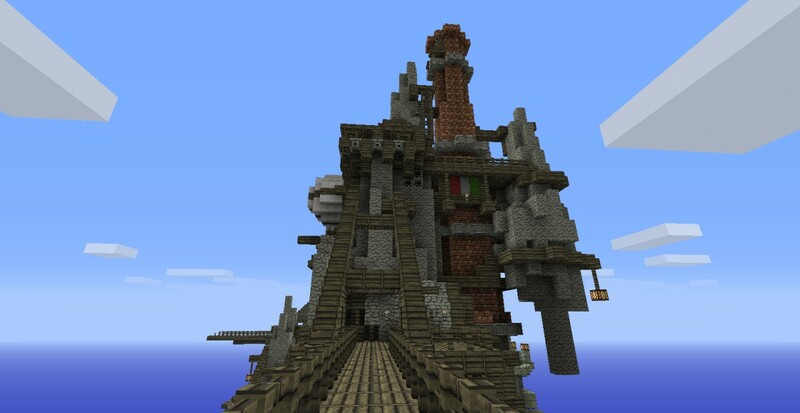 I'm having ALOT of trouble designing my own airship dock and i'd like your permission to use this same kind of idea on our server but I'd switch it up heaps when i finish it. would you mind? hey khanaris, this is INCREDIBLE. 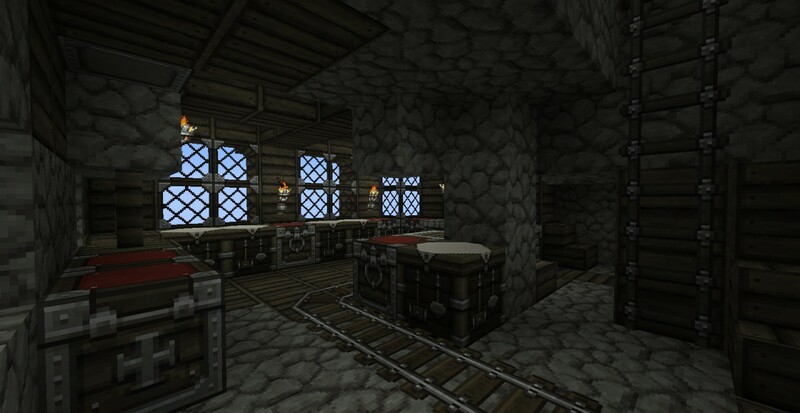 however, did you leave any other stuff items on the ship besides the tools. Also i seem to never, get hurt or loose food bar...y is this? 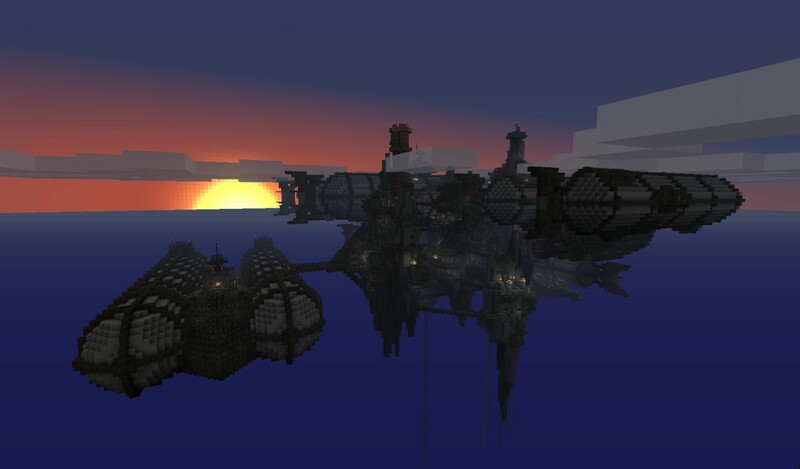 Hey khanaris , why don't you make some map , where are every one fo your airships and this fortress? ?It would be really great!! BTW: Sorry if i wrote some mistakes , I'm from the Czech Republic , so English isn't my native language.. I agree with this idea,it would be great for RP servers. This will happen. At the moment I am waiting until I know more about what is going into the final release. Can I use your airships in a big battlefield map? (It's fine if you say no, I just won't put it on the internet for viewing and/or download). Go right ahead! Just be sure to note down where you got them somewhere. Any possible way you could make a map with all the Airships in it? uh... How Do You get To the Other Part? What do you mean? In the World File? There are Nether portals on both structures, and a marked path in between. The current version of McEdit has a box under "World Info" that lets you switch maps from Survival to Creative and back. just wanted to let you know that if you fall off the fortress and the person doesnt have single player comands or another mod like that they will have to redownload the file because they cant die. Yep, I know. Glitch with the world file. Another reason I prefer using the schematics. You can also use McEdit to place yourself back on the structure or convert the level into Creative mode. Ultimately I am replacing the World File with its 1.8 equivalent, but this one was only ever intended to be a demo. Hey Khanaris..... I can't get the schematic to work because it is in a .zip and not a .schematic O_o..... Could you please fix this as i love ur work ..... oh and by the way... I AM RAISING AN ARMY OF AIRSHIPS MWHAHAHAHHA!!!..... If you could help that would be great :D thanks! Can you unzip it? The reason it is zipped is that there are actually two schematics, one with airships and one without. I can't seem to post multiple schematics to the same project. Well, I fixed it before by replacing the zip file with a regular schematic, but it meant that I had to drop the other one. I just did that here as well, but it means I had to drop the version with the airships already docked. 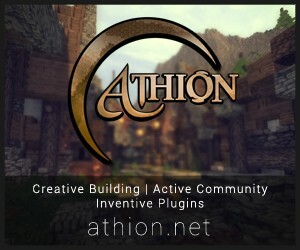 hey man love the builds, and the not so subtle Italian hints. i was wondering at the ships docked, mainly the little one, i know what the others are but the little one escapes me, i thought it was the cutter or the boat but i looked at the pics of those and it isn't either. small shuttle? 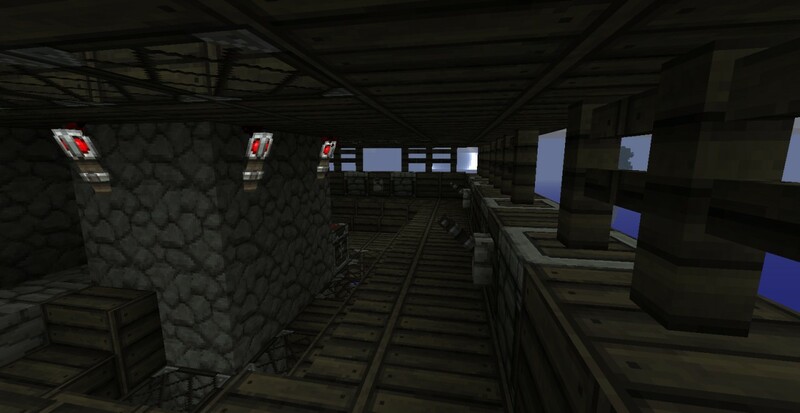 The small airship in the market area of the Fortress is the boat, but it might be an older version of it. 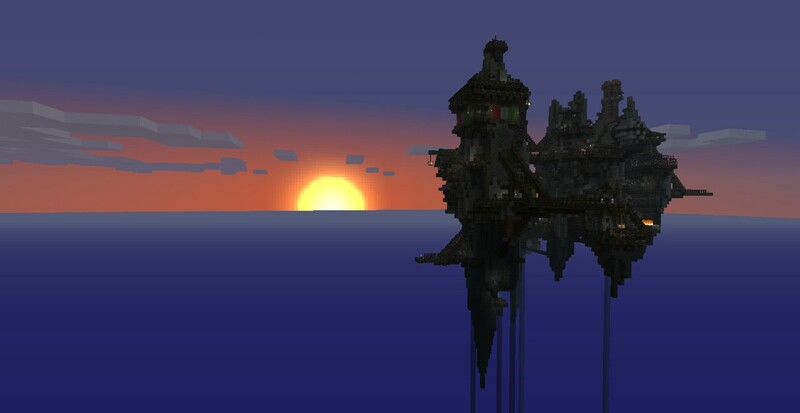 There is also a version of the Skyfish docked at the Salvage Yard in the World File. At the moment I am updating all of the designs to 1.8, but I am going to have to wait until McEdit gets updated to rerelease all of the schematics and put up a new World File. Right now it isn't relighting chests correctly. Hiya Khanaris the same thing is happening to me as the cutter did you need to change it from a .zip to a .schematic :D thanks! how do u do that thing that u needed to do with MCedit? 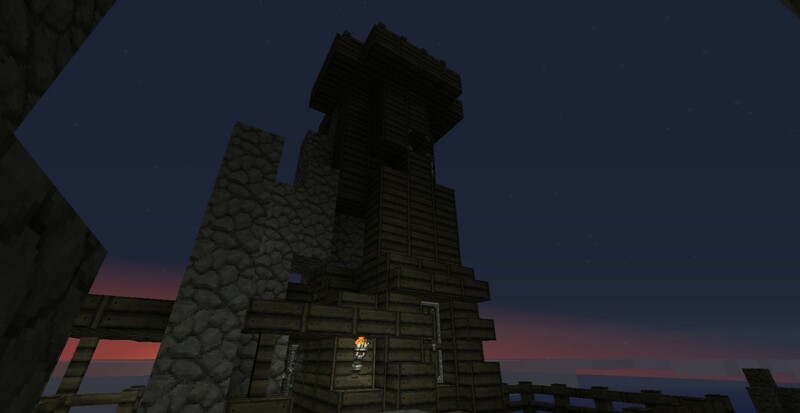 The next main project is probably going to be a village/mine. The plan is to take a large block of normal terrain with normal ore distribution and caves, and then surround the outside with spires so that the overall appearance is similar to these. Then I will build a set of docks and a mining town clinging to part of the outside. Right now there isn't much exploration possible with these designs, and I haven't left much space for new construction. Adding a massive chunk that I can slowly mine out offers many more possibilities for survival. I do want to add a shipyard, though. The scrapyard sounds a bit tougher. The main problem is that I can't tilt the ships. That makes it tough to build things that really look wrecked. I also need to finish up the pirate cruiser and a light passenger liner. Working on a few, but sidetracked to do more structures. I am looking at a sleeker pirate-like cruiser and a cargo ship modeled after an offshore rig supply boat with big open decks. 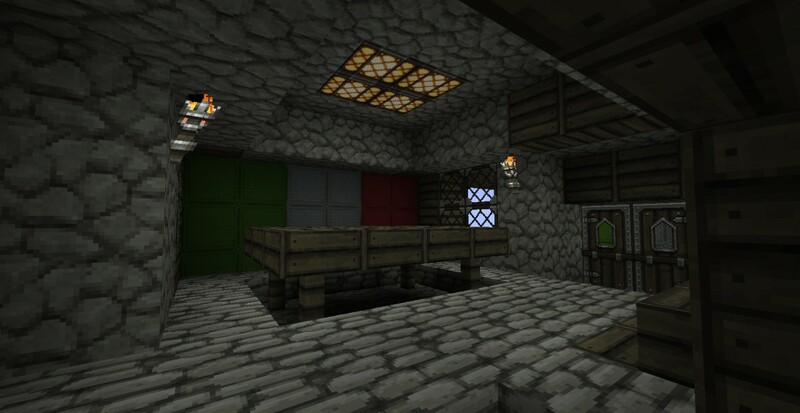 That is a slightly modified version of Dokucraft.